Fading light over the Mesquite Dunefield in Death Valley National Park. 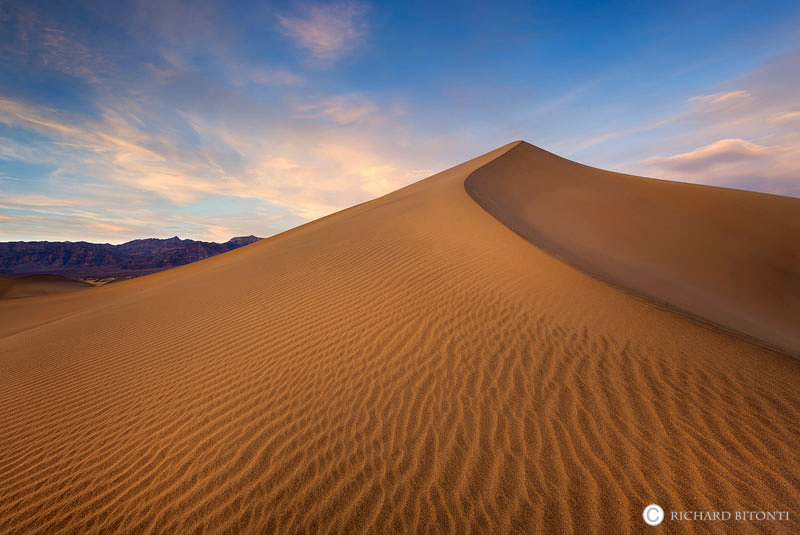 These dunes are the tallest sand dunes in California and among the highest in North America, rising 680 feet above a dry lake bed. Formed by wind and sand from the Cottonwood Mountains, the sand dunes cover an area about three miles long by one mile wide. Photo © copyright by Richard Bitonti.